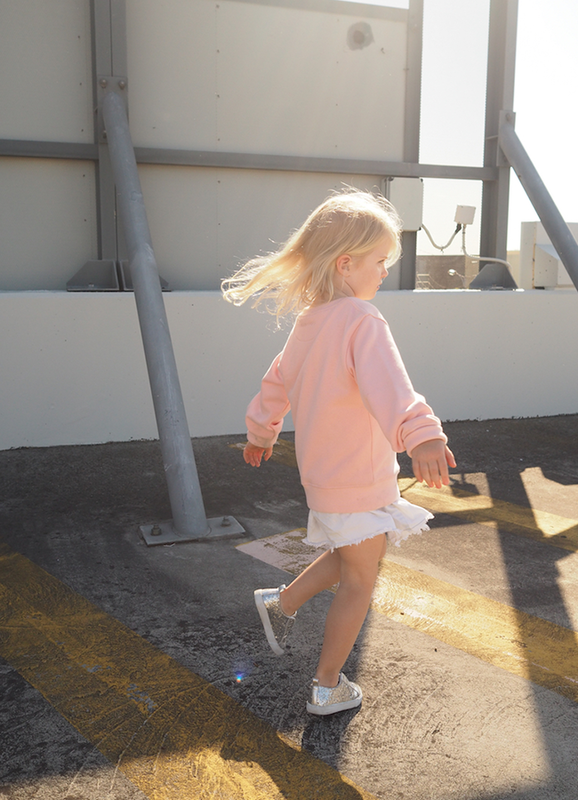 Our daughter, Bobbi Jones wears the Pink Melbourne Sweatshirt – Captured by Me. Introducing JERRI.JONES Mini. I am very excited to debut MINI to my collection. 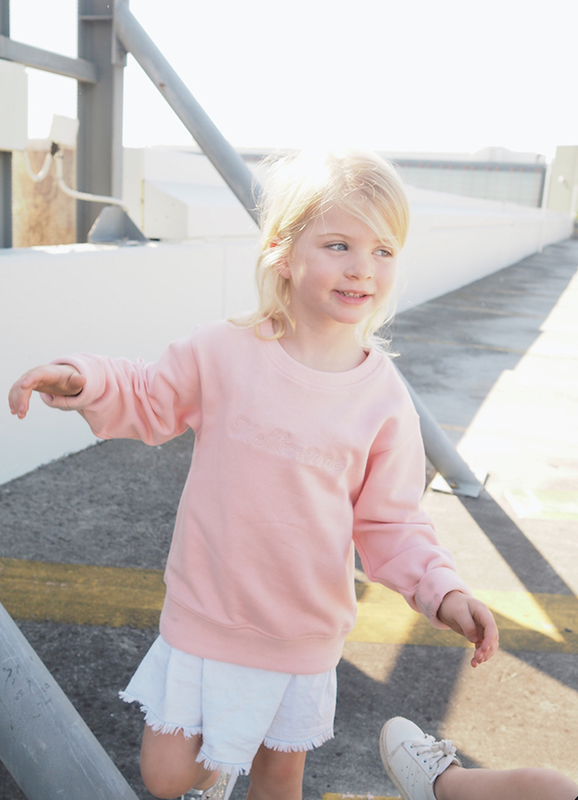 The much-loved adult ‘Melbourne’ sweatshirt is now available in limited edition, for the little ones in your life. Our Family is at the heart of everything we do. Introducing the limited edition JERRI.JONES MINI which felt like a natural progression, especially since becoming a mother – having made samples of the range for my little ones, I wanted to share the limited edition pieces with you. 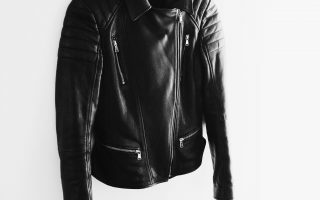 Available in Black and Pink. The pink sweatshirt was inspired by my pink-loving daughter, Bobbi. Anyone with kids knows it’s no mean feat to get them to stay still for more than a few seconds for a photo. 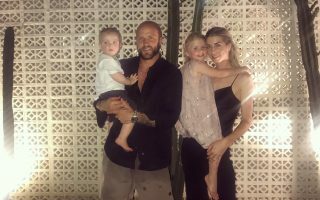 The imagery you see, was my best efforts, under trying circumstances to capture my little ones, Bobbi and Remy – wearing the new Mini sweatshirts. For a 3 year old that understands bribery, I managed to get a few of Bobbi (ha!). On the other hand, a One year old who has just started walking, was another story! I hope you love the new addition of Mini as much as my family and I do. Pre-orders are live now for mid Jan 2018 delivery.